Veeam is extending its storage integration offerings to the support of Nimble Storage arrays in the upcoming Veeam Availability Suite 9.5. The Beta is already available for testing, and I used this chance to get first-hand experience. In this post, I’ll share insights from my experience and review the functional use cases delivered by this Veeam-Nimble Integration. The Veeam-Nimble integration follows the same approach as Veeam’s existing integration capabilities with other enterprise storage solutions. It’s all about leveraging the underlying storage hardware and snapshot capability. The Veeam-Nimble integration offers the benefits of minimum impact on the virtual infrastructure during the backup process, RTPO of less than 15 minutes and verified recoverability. 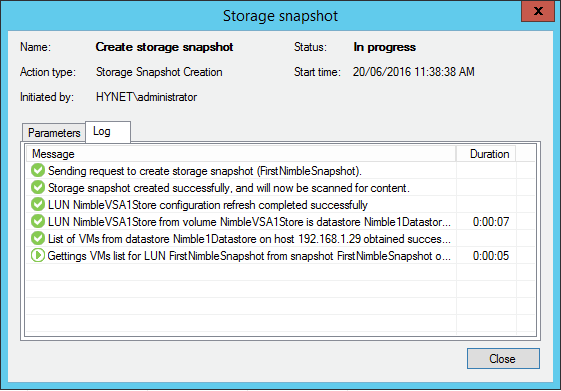 Creating a Virtual Lab from Nimble Storage snapshots for testing, development, training and Big Data mining. NOTE: This is a Beta, so some of the screens are listed as TBD or may not have their icons/visualization complete as what we will see in the generally available build of Veeam Backup & Replication 9.5. Nimble Storage arrays are integrated directly via the Veeam console, which makes it possible to manage jobs and performance through a single pane. 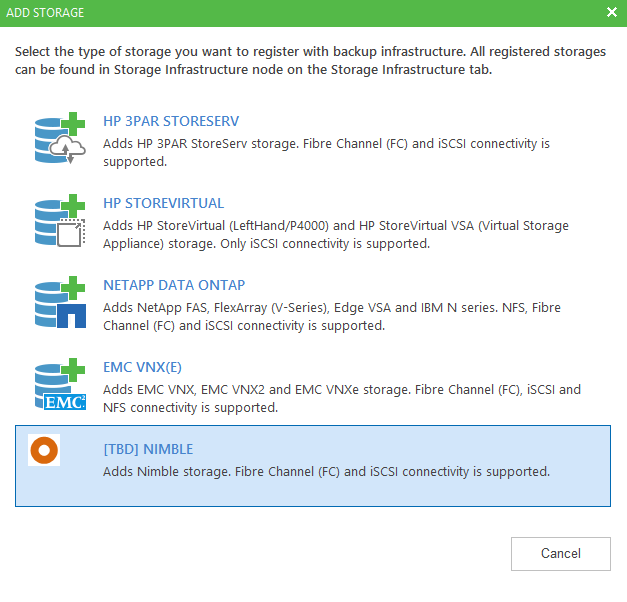 Configuring Nimble Storage array inside the Veeam console is easy and intuitive. Then, configure a backup proxy by specifying the access option (I chose an iSCSI for my lab), and run the setup. 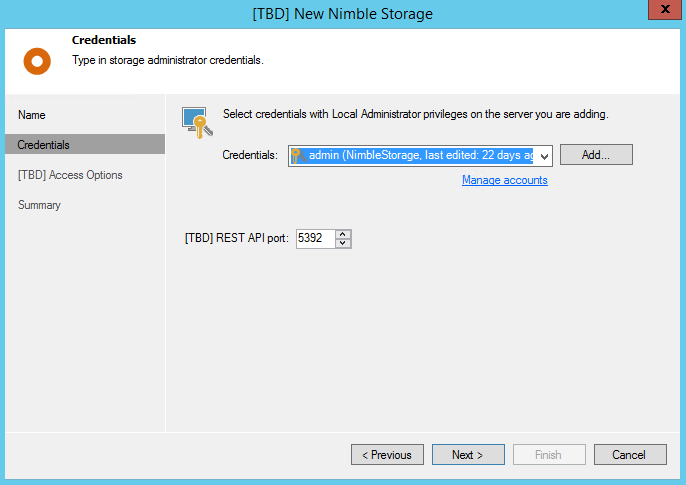 After the primary Nimble Storage array is added, you need to pass through all the above steps again and configure the secondary Nimble array, which you’ll use for further replication. We can play with the restore now that the snapshot is created. 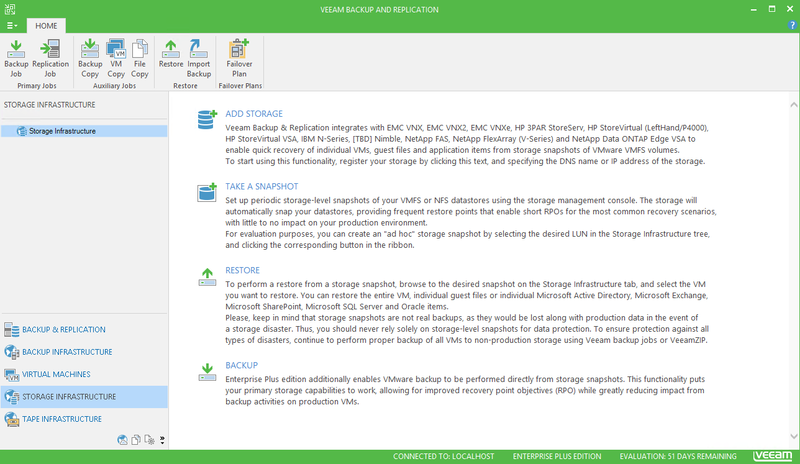 You can now perform multiple recovery scenarios from the Veeam Backup & Replication console. 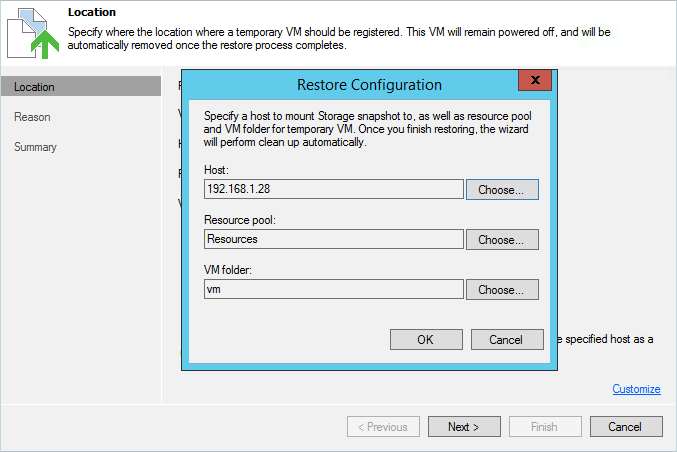 Right-click the created snapshot to see a list of available options: Instant VM Recovery, guest-files restore and application-items restore. I tested a guest-files restore for a Windows-based VM in my example. To perform the recovery from a Nimble snapshot, you need to specify the ESXi host that Veeam will use to mount the storage snapshot to as a temporary iSCSI Datastore (directly from the Veeam repository). 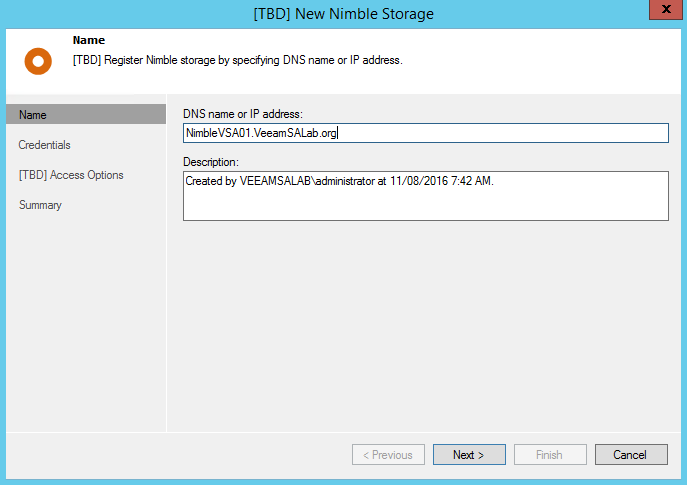 Even more insights on the new Veeam-Nimble integration are coming in my next blog! 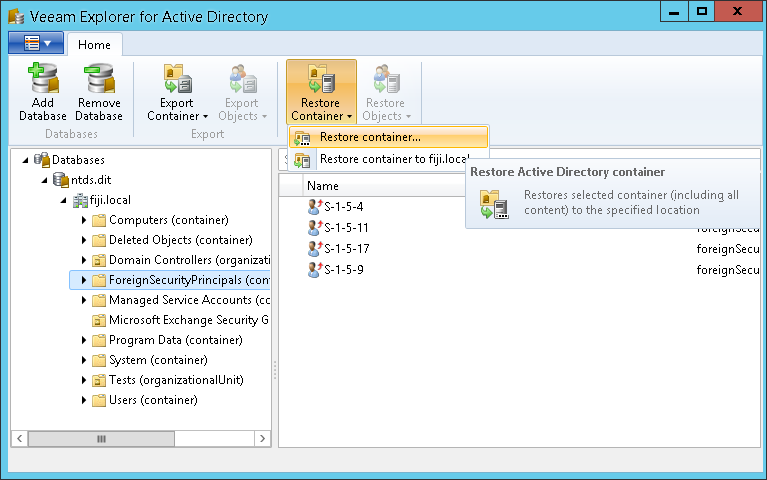 I’ll demonstrate how the Beta of Veeam Availability Suite 9.5 works with backup and replication from Nimble snapshots.